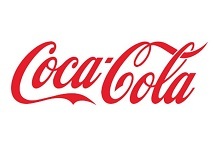 Soft drinks giant Coca-Cola, together with local partner Swire, has announced the opening of a new production plant in Yunnan province, China. Described as the largest Coca-Cola production plant south of the Yangtze River in China, the new facility is said to have achieved a gold certification of Leadership in Energy and Environmental Design (LEED). “The investment is another example of the Coca-Cola system’s commitment to investing and growing in China”, Coca-Cola said in a statement. Commenting on the new facility, Coca-Cola president & CEO James Quincey said: “Coca-Cola has been part of the tremendous changes in China since the opening of the market in 1979. We started our business in China with a single brand, and we’ve gone on to build a portfolio of more than 20 brands in the market today. The new Yunnan plant marks a milestone in celebrating the upcoming 40th anniversary of Coca-Cola’s return to China. Together with our bottling partners, we offer a growing portfolio to Chinese consumers, in addition to playing an important role in the communities where we operate”.